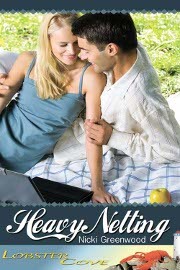 Today I welcome fellow Wild Rose Press author Nicki Greenwood with her new release, HEAVY NETTING. He’s all wrong for Lobster Cove … but he might be just right for her. HEAVY NETTING is a short contemporary romance written for The Wild Rose Press’s new LOBSTER COVE series…an ongoing, cross-genre series of interconnecting books based in the small seaside town of Lobster Cove, Maine. Before we get to the book Nicki, tell us a little about yourself. 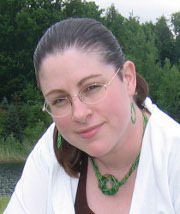 I graduated SUNY Morrisville with a degree in Natural Resources. I write stories of romantic adventure, and combine that with a love of the environment that comes through in each of my books. I’ve been writing professionally since 2010, and currently have three books in print with more on the way, including HEAVY NETTING, which releases today…September 1st! Congratulations on the new release. And I’ve never been, so I will keep that in mind! I love this title! Admittedly, I was going to play around a bit with it when I wrote this blog (hee-hee-hee), but sensibility prevailed. Would you mind sharing an excerpt from HEAVY NETTING? Love it! How was it writing for this new line of books? It was a fun and fresh challenge to write this book, and I’m excited to be a part of a series with such great authors. So a couple of quick questions if you don’t mind. What would be your desert island book or movie? Movie, Charlotte? Would one have electricity on a desert island? Gosh, that might be tempting to have a private island! But I digress…Give me a blank book and a pen! I think I’d go a little crazy without being allowed to write. Good point about the electricity. But my island would have to have it, or where would I keep my cola? Veal francaise, hands down. Yummy! And do you have a pet peeve? I try to keep them to a minimum (good for you!) but it always gets my goat when I see someone being disrespectful to another human being. Also, I’m frustrated by people who are careless about the environment. Well, now that you’ve told us a bit about your book and yourself, where can my readers buy HEAVY NETTING, or find out more info? This entry was posted in Charlotte Copper, Contemporary Romance, Heavy Netting, Lobster Cove, Nicki Greenwood, Wild Rose Press by Charlotte Copper. Bookmark the permalink. I enjoyed your excerpt! Best wishes with your new release! Thanks Ashantay – I can’t wait to read yours too!